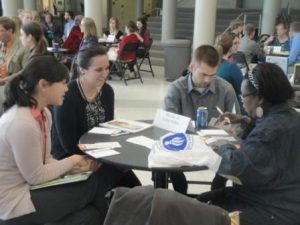 Explor-A-Ganza is an excellent opportunity for you to meet UNI students to discuss internships, jobs, career & volunteer opportunities with your organization. Organization profiles will be shared with students before the event. The format of the event will consist of ‘speed interviewing” with 5-6 rounds/rotations. 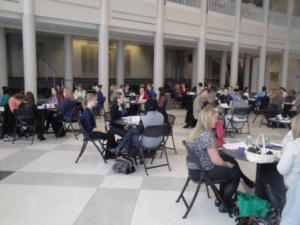 Each organization representative will meet with approximately 20 students. Organizations can feel free to bring display materials along with handouts of any jobs, internship and/or volunteer opportunities. Cookies and refreshments will be available throughout the event. If you have further questions or would like to sign up your organization to participate, please email Paige Cowing.